Hello everyone. My name is Chipper. 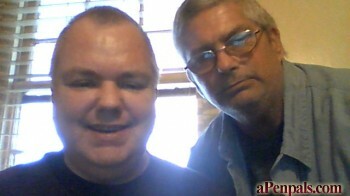 I am a gay male living in Fillmore Utah, in the USA. I am looking for friendship. I have friends who are straight, and gay, and even some are bi-sexual. I also have other friends who are Atheists and don't believe in GOD. I know that it is important to accept people for who they are, or the way that God made them. So if your beliefs are different than mine? You are still welcome to talk and get to know me. Please note that I am also a gay male with a partner. Smile..
AND please feel free to share all the books you are reading. I want lots of good details. As you can tell.. I love to read. Smile..